WOW! I am blown away by everyone who is joining in and Making Art Everyday. You all deserve a huge congrats for making creativity a priority in your lives! My feeds have turned into a beautiful fruit salad and I’m lovin’ it SO MUCH. I know this first week was maybe fueled by the excitement of something new and I hope that carries over into week two. If it’s starting to wane, remember that you decided that making art is simply a part of your life, and not an extra. Stick to the consistent time you’ve set aside to draw. This week, let’s continue to stick to 5-10 minutes per day. Remember, this doesn’t have to be a limit, you can take more time if you want, but try to keep a time frame that is sustainable long-term. Also, it can be fun to see how much you actually can get done in a small amount of time! Check out the work your fellow art-makers are producing at the hashtag: #makingarteveryday. It’s easy to want to compare, but remember you are all different people at different stages of your art journeys. Look not to compare, but to feel inspired and know that you’re a part of something big! 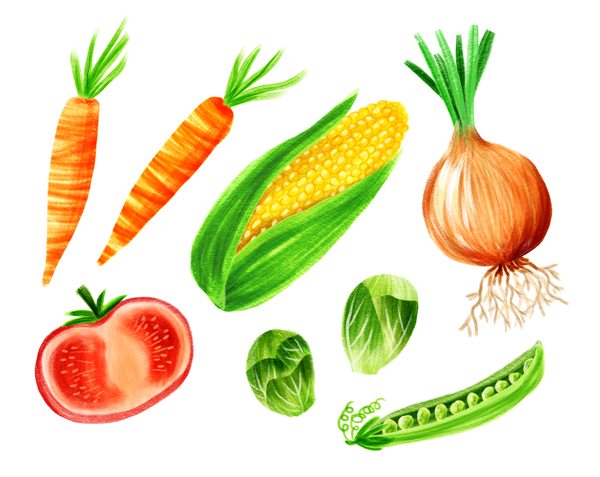 This week, let’s eat our veggies! I definitely have a sweet tooth but vegetables are so flavorful, versatile, and diverse that they are one of my favorite food groups. And you know what? Drawing them makes me feel healthier too. HOW TO USE: On your iPad, open Procreate and Safari in split screen view and navigate to makingarteveryday.com. You’ll see the week’s prompts and tutorial to help you learn and be inspired. 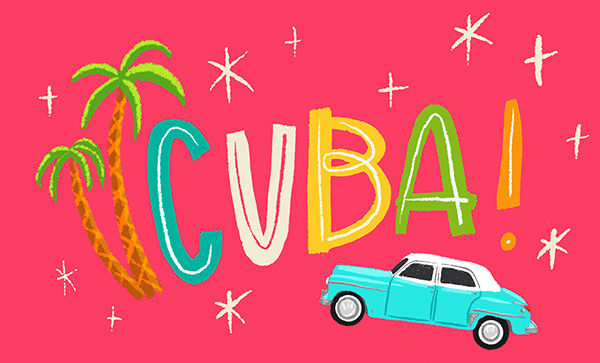 On Tuesday I leave for CUBA! I’m so excited about visiting this country. I can’t wait to soak up all the color, culture and get inspired. I’ll pretty much be off the grid for a week so I won’t be able to check in with you guys while I’m gone. I will have someone on the ground back home to help out around Bardot Brush, and I can’t wait to catch up on all the art making when I’m back on the 16th. Until then, keep being creative everyday!